Population-based biorepositories are important resources, but sample handling can affect data quality. Identify metabolites of value for clinical investigations despite extended postcollection freezing delays, using protocols representing a California mid-term pregnancy biobank. Blood collected from non-pregnant healthy female volunteers (n = 20) underwent three handling protocols after 30 min clotting at room temperature: (1) ideal—samples frozen (− 80 °C) within 2 h of collection; (2) delayed freezing—samples held at room temperature for 3 days, then 4 °C for 9 days, the median times for biobank samples, and then frozen; (3) delayed freezing with freeze–thaw—the delayed freezing protocol with a freeze–thaw cycle simulating retrieved sample sub-aliquoting. 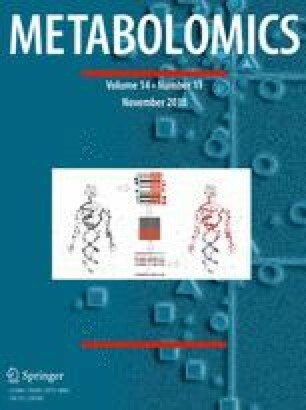 Mass spectrometry-based untargeted metabolomic analyses of primary metabolism and complex lipids and targeted profiling of oxylipins, endocannabinoids, ceramides/sphingoid-bases, and bile acids were performed. Metabolite concentrations and intraclass correlation coefficients (ICC) were compared, with the ideal protocol as the reference. Sixty-two percent of 428 identified compounds had good to excellent ICCs, a metric of concordance between measurements of samples handled with the different protocols. Sphingomyelins, phosphatidylcholines, cholesteryl esters, triacylglycerols, bile acids and fatty acid diols were the least affected by non-ideal handling, while sugars, organic acids, amino acids, monoacylglycerols, lysophospholipids, N-acylethanolamides, polyunsaturated fatty acids, and numerous oxylipins were altered by delayed freezing. Freeze–thaw effects were assay-specific with lipids being most stable. Despite extended post-collection freezing delays characteristic of some biobanks of opportunistically collected clinical samples, numerous metabolomic compounds had both stable levels and good concordance. The online version of this article ( https://doi.org/10.1007/s11306-018-1450-9) contains supplementary material, which is available to authorized users. This research was supported by: the March of Dimes Foundation Prematurity Research Center at Stanford University School of Medicine (22-FY18-808; GMS, DKS); the Lucile Packard Foundation for Children’s Health; the Stanford Child Health Research Institute, the National Institutes of Health (UL1-TR001085, [SLC, CM, MH, GMS, DKS]; U24-DK097154, [OF, JWN]) and the USDA (2032-51530-022-00D, JWN). The USDA is an equal opportunity employer and provider. Project design—SLC, TLP, GMS, DKS, JWN. Performed research—MRL, TS, MH, RW, TLP, OF, JWN. Analyzed data—MRL, CM, KB, JWN. Wrote paper—MRL, SLC, LR, JWN. Reviewed manuscript—all authors. This study was approved by Stanford University IRB and conducted in accordance with the ethical standards set forth by the 1964 Declaration of Helsinki and its later amendments or comparable ethical standards. California Department of Public Health. (n.d.). California Biobank Program. https://www.cdph.ca.gov/Programs/CFH/DGDS/Pages/cbp/default.aspx.